I was born in Morristown, New Jersey in 1953. I'm a published author, former ISKCON sannyasi, and traveler, having lived on 3 continents and visited 37 countries. 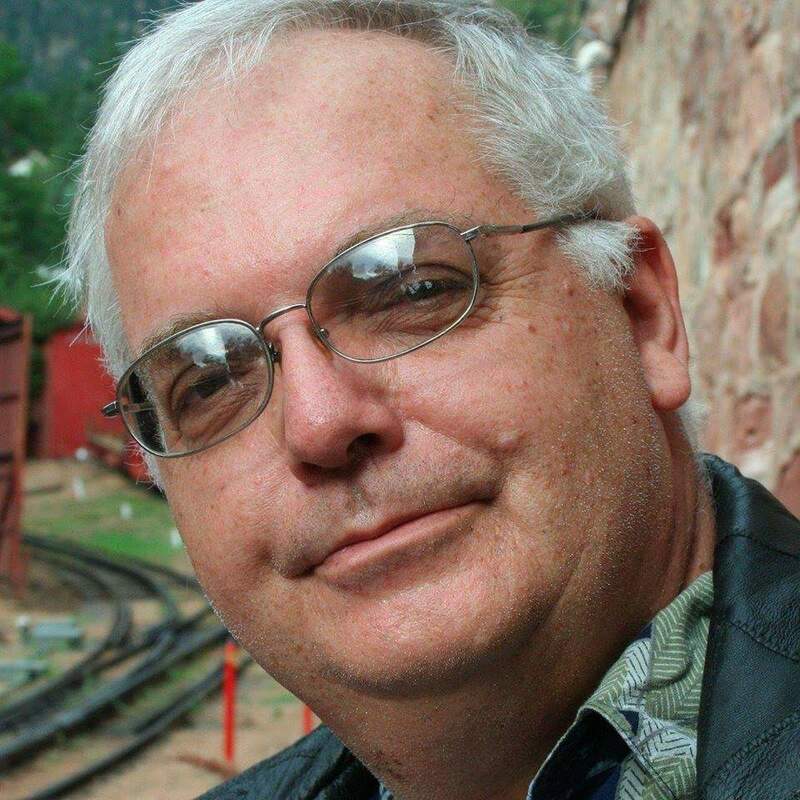 I presently live and work in Amarillo, Texas and have interests in photography, political science and astronomy. I have used Linux exclusively since 2002. @jonesyp I can’t help but I can confirm the exact same thing happened to me today and I wound up with an unsuccessful install. It failed with the same error 593579. What I suspect is happening is the “rolling distribution” problem. With rolling distributions, sometimes packages break and later start working depending on what’s going on with development upstream. Cnchi, the Antergos installer, downloads updates to itself before starting the installation process. I suspect that Cnchi is broken and there’s nothing we can do until it’s fixed. In the meantime I went and installed Arch itself, got it running, and am typing this message inside gnome 3 on an Arch system. However, Arch is a difficult critter and I have weird codec problems and even can’t get my favorite browser, Vidaldi, to work properly. It also seems AUR inside Arch is more problemmatic. I’d rather go back to good ol’ Antergos. However, until this gets resolved I’m tinkering with my new Arch installation and maybe by the time Cnchi is repaired I will be happy to stay here in Arch proper. I don’t know! I never noticed this reponse until now, and wow. Very cool. Never even imagined there was a gnome-extension for the rotating wallpaper. I’m using it on my machine now. Thank you. I could see that too. However, when I did a sudo pacman -R gnome-settings-daemon-redshift I was asked if I was sure I wanted to uninstall gnome 3. This seemed like an endless loop of dependencies and since I was in gnome 3 at the time I got frustrated. I took the extreme approach, which was remarkably painless and not very time consuming. What I did was reinstall Antergos but chose not to reformat /home … that kept all my settings in tact, even my rotating wallpaper for which I am so proud. My system had dozens of unnecessary DE’s like Plasma, KDE, Xfce, Cinnamon, ad infinitum, for testing purposes. I was asking for conflicts. Decided to go back to the KISS philosophy and start afresh. You will probably need more information. Ask away. This is what happens on my system. My initial reaction is to reinstall the whole system, but then, wasn’t I promised that I only ever had to install once? …and viruses. My big thing about Windows. Beside the corporate look and feel. You’re an odd one @brianreid1 I must say but I totally relate to everything you’re going through except. I couldn’t go “back” to Windows. I’m an anti-windows person to the core. For real. I’d rather struggle with BSD than Windows, and fortunately I’ve got Linux in between!!! @WaltH Yeah, I think I got the “activities” button mixed up. Maybe what you need is the Winthumbnails extension. Tried that one? Nice desktop btw. You’ll see I have a doc at the bottom with the activities button in front. That’s done with Dash to Dock. The wallpaper is rotating every 60 seconds. I have a zillion pictures in a folder called ~/Pictures/Wallpaper that rotate on the desktop. Do you know about Gnome extensions? First of all you need the tweak tool. Download, install and run it. Then inside look at Gnome extensions. What you want are Dash to Dock which moves your favorites to a dock at the bottom of the screen, and you can move the activities button to the front of the list. Then you also want the Activities Configurator extension. Search YouTube for customizing Gnome. Joe, I have found Gnome with the Gnome extensions is the best. Watch YouTube videos “customizing Gnome”. You don’t have to use the activities button much if at all. I cannot decide. There are too many options. A Microsoft Windows person would have no idea. It’s all the fault of Linux, or more properly “GNU/Linux” pronounced “Gah-New Lin-ux” or sometimes “Gah-New Lin-ox.” Much to the distress of the GNU people who provide all the software for Linux and BSD systems, nobody wants to say “Gan-New” before “Linux.” The harsh reality is this: the vast majority of the public just calls it Linux. First decision: Which Linux? There are hundreds and hundreds of versions of the open-source, free operating system. It’s already running on devices you probably own, like your modem, router, Android Phone, tablet and smart TV. At my house it also runs my Desktop Computer. I feel secure in Linux. No viruses. No compromises. Safe, functional, beautiful, incredibly powerful. So for the first choice I decided I wanted a “rolling distribution,” or one that once installed, it never had to be installed again. It will update itself forever, including the Linux kernel. I am tired of the versions that get outdated and have limited support after an expiration date. There is no need anymore to put up with that. There are both stable and “bleeding edge” rolling versions of Linux out there that do everything that Ubuntu or Mint do. Tough it out. Next I needed it to be functional. Out of the box working, for the most part. At least in major areas. I shouldn’t have to have a command line prompt and build the entire operating system from the ground up like with Arch or Gentoo. I have no time for that. I wanted a version of Linux which made disk partitioning easy and left me with some kind of graphical interface when I’m done installing and at the same time which gives me complete control over what I’m putting on my computer. Finally, I wanted to be slightly off the beaten path, but not too far off. I didn’t want Debian/Ubuntu/Mint family versions, or Red Hat versions, Gentoo derivatives or Slackware. Something different. I decided on Arch derivatives, and I narrowed that down to one: Antergos-OS. I did, in the process, over the years, explore all of the above options. Second decision: What desktop environment? This is where Microsoft Window users are lost. They just have to accept whatever Microsoft has decided for them. They can customize their desktop to some degree, but not with the flexibility and complete range of power that someone using Linux has. 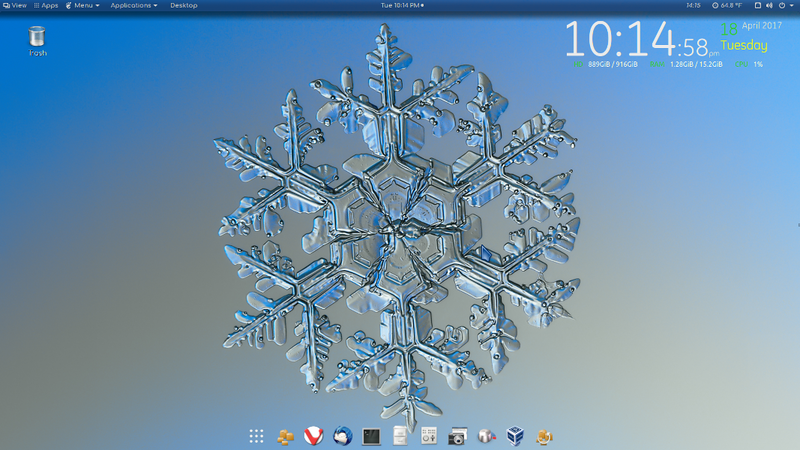 In Linux we have many “DEs” such as KDE Plasma, Gnome 3, Mate, Xfce, Cinnamon, Deepin, Enlightenment, Openbox, Lxde and so on. Each of them handles things a little different, look a little different, have different functionalities, strengths and weaknesses. The Desktop Environment is where I falter. The desktop environment sits on top and is what your Window Manager serves up to you to interact with your operating system – I think. For years I used a well-known desktop environment called Mate, and pronounced it “Mate” like the British version of a friend. Only recently I figured out it’s not pronounced like a British friend, but a two syllable word “ma-tay,” which I have trouble getting my head around. I also used Cinnamon, but didn’t like it so much. Mate was my DE for years. Then I got bored with it. I tried Unity. Hated it. So I went with Xfce, which is pronounced exactly like the letters of the alphabet. I couldn’t figure out and didn’t seem to like KDE Plasma. We’ll get back to that. Then I went back and looked at KDE Plasma, the most popular of all. Now I have all three on my computer. I can switch from one to the other: Gnome, Xfce and KDE Plasma. I have them all set up. They are all beautiful, have rotating wallpapers, intense functionality and so on. I can do anything. I can place Facebook games, watch Netflix, watch Amazon Videos and YouTube, work on my spreadsheet, write and update this blog – all from any of them. It’s hard to remember which DE I’m in at the moment. Let me check … Behold – I’m in Xfce, which is weird because for the last few weeks I’ve been inside Gnome and the last two days I’ve been setting up Plasma. Xfce was my first of these three. With it all set up so nicely, I can’t decide. I’m confused. I don’t know what to do. I guess if you don’t like this kind of problem and like having to pay money for an anti-virus subscription just to protect your computer from software you have to download from questionable sources, then go on using MS Windows. In Linux all our software comes from trusted “repositories” and is safe and sound, and we don’t have virus problems. See my earlier post about Linux Virus protection. So for now, if I get bored, I just switch. Why should I be nailed down to some boring window environment when I can have anything I want and complete freedom with my computer? Those are some of my reasons I run Linux on my desktop computer and why I like Antergos. And a vertical monitor I see. Cool.